You must consider several factors when choosing flooring materials for your home or commercial property. The materials must be top-quality and manufactured by leading suppliers. Installing premium-grade flooring materials will give you durable and long-lasting floors. Another factor that you have to consider is the aesthetic quality of the material. Choose a floor covering that will enhance the beauty of your interior or exterior space. Since there are countless design options, you will need the help of professional designers and installers. Moriarty Floor Covering, Inc. is the leading floor covering installer in Indiana. We have skilled installers who are knowledgeable about various installation techniques. Our first-rate flooring installation has made countless homes and commercial properties in the state more attractive, safer, and more functional. Since 2002, we've been serving Bloomington, Kirby, Harrodsburg, Unionville, Ellettsville, Cincinnati, Whitehall, Hendricksville, Bedford, and Springville, IN. We are the choice of most homeowners and commercial property owners in these areas because of our highly personalized customer service. We also provide them with premium-quality flooring products that were sourced from leading manufacturers and suppliers in the country. With our capabilities and use of top-notch materials, we can surely satisfy your needs and project requirements. Please call (812) 824-5555 to speak with one of our flooring specialists. 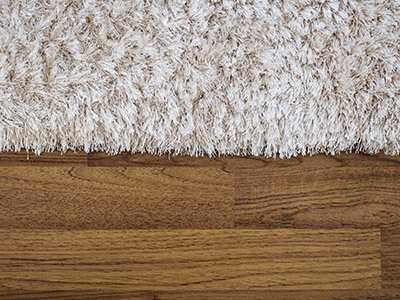 The number of carpet choices can be overwhelming for some property owners. They have to consider the carpet's design, style, type, and even the cost of the material. If you are also planning to install this type of floor covering, ask the help of professionals like us at Moriarty Floor Covering, Inc. We can help you choose the perfect carpets for your home or business establishment. Vinyl is a hard-wearing, low-cost flooring material. It is commonly used in commercial flooring projects because of its lower installation cost and long-lasting qualities. But vinyl flooring is now becoming a popular option for homeowners because of the innovation in the production methods and the introduction of new features. This type of floor covering can suit any decor because of its wide range of colors, patterns, and styles. The elegance, durability, and unique beauty of hardwood are just some of the reasons why a lot of property owners choose this flooring material. Premium hardwood floors can last for decades with minimal maintenance. They are easy to install but more expensive than other flooring materials. Ceramic tiles are widely used in both residential and commercial applications. They are cost-effective, stain resistant, durable, and attractive flooring materials. Ceramics are available in a wide range of designs, colors, sizes, textures, and finishes, making them very versatile flooring materials. They are commonly used for kitchens, bathrooms, hallways, offices, and outdoor living spaces. If you want an easy-to-clean and low-maintenance floor covering, choose ceramic tiles. Laminates are excellent alternatives to expensive flooring materials such as hardwood and natural stones. This type of floor covering is composed of a stabilizing layer, core board, decorative layer, and resin-based coating. If you will choose laminate flooring, look for a brand that offers lifetime product warranty and outstanding design options. Luxury vinyl tiles (LVT) are available in different designs, sizes, and shapes. They usually mimic the look of hardwood and natural stones. LVT is more expensive because it is 10 times thicker than ordinary vinyl flooring. It is usually rectangular in shape and measures 12"x12" or 16"x18". Some manufacturers offer luxury vinyl planks, which typically measure 7"x48". Call or visit us to get more information about our various floor covering products.